Is it worth installing air conditioning in a Sussex home? When the weather starts to swelter most of us cope by swinging open the windows and doors, rushing out to buy a fan and raiding the freezer for last year’s leftover ice lollies. The British summer can be unpredictable, but we certainly have our fair share of hot days here on the Sunshine Coast. If you live in a south-facing property with triple glazing like many of the new build apartments in Brighton and Hove, you’ll be well aware of how cosy it is in winter but also perhaps a little too hot in summer if there’s no breeze flowing through. If you have the luxury of air-conditioning in your car or at the office or have stayed in hotter countries, you’ll understand the benefits already. But many of us are nervous about the costs involved. So, is it worth investing in air conditioning for your property? If you wanted to try air conditioning out before investing too much or going through with installation works, a low-cost portable solution might be the answer. The downside of portable units is that they’re vented through a window which must remain open throughout use, so can be a bit of a security risk if left unattended. If you are a landlord with tenants that have mentioned the heat to you then you could suggest this type of unit to them, but of course remind the tenants it will affect their electricity bills and that they need to be security aware! An alternative to portable air-con might be a ceiling fan but choose with caution to avoid a dated 1980s look, unless that’s the vintage feel you’re going for with your décor! 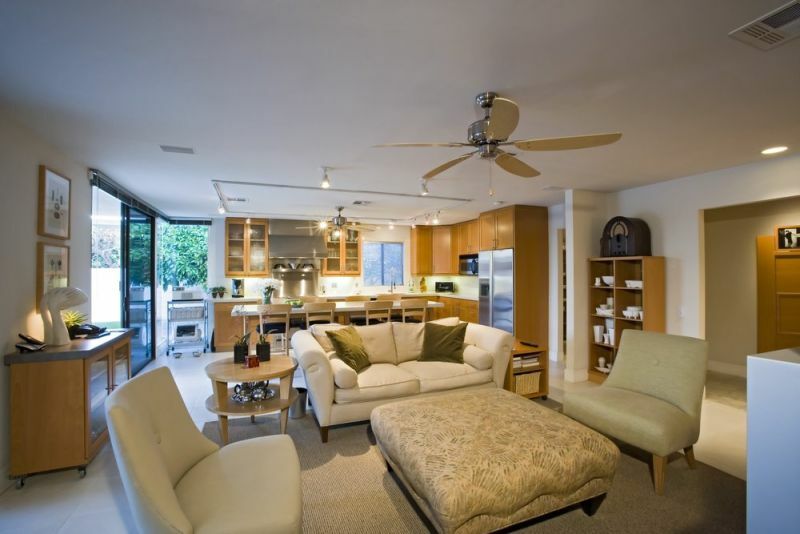 We like this bladeless ceiling fan that looks modern and neutral. Much like installing a new boiler or heating system, a new air conditioning system calls for some expert advice. A professional air conditioning installation company will come to your property and carry out a survey for free, talking you through the different elements of the system, the work that will need to be carried out and where each part of the system needs to be placed. If you are a freeholder and your property is a terraced, semi-detached or detached house it will be easy to find a place to install the external fans. If you live in a listed building you will need to seek approval for the placement of the fans. If you leave in a leasehold property, and don’t have your own outside space, you’ll probably need to seek permission from the Freeholder or Management Company to add fans to the exterior of the building. Bear in mind that air conditioning units require regular maintenance and use water. If you are not at home for long periods of time you may want to consider the risk of the air conditioning leaking and how you might prevent this causing damage to the property. If you plan to rent out your property in the mid-term or longer term, you may find that whilst the air conditioning is an appealing feature to prospective tenants, again it is a risk and perhaps extra expense that may make the property and tenancy harder to manage; it really depends on your tenants to be mindful of the responsibilities of having air conditioning in the property. Our Sussex Property Management team are on hand to support landlords with the day-to-day management of tenancies and property maintenance. If you’re thinking of letting your property or changing your management company, get in touch.